James Harden scored “only” 35 points on Friday night to help the Houston Rockets get a 121-119 victory over the Toronto Raptors. With the 35 points, Harden’s season scoring average actually WENT DOWN. Yes, really. 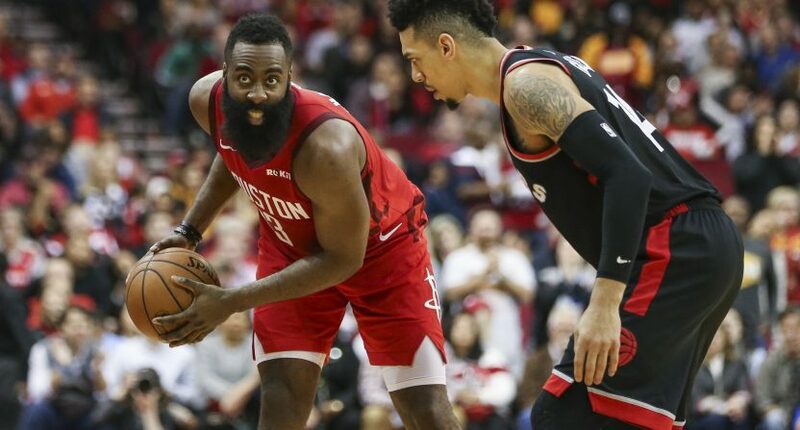 Harden entered the night averaging 36.3 points per game, and averaged 52.2 points over his previous five games, capped off by a 61-point performance against the Knicks on Wednesday. But Harden kept a few unbelievable streaks going. The 35-point effort gave him 30+ points for the 22nd straight game, something only Wilt Chamberlain has done. James Harden had 35 points on Friday night against the Raptors, his 22nd straight game with at least 30 points. Harden has been the leading scorer (for both teams) in all 22 of those games, good for the third-longest streak in NBA history. And the most incredible stat: Harden now has an unassisted points scored streak of 298! James Harden scores 35 points in which every single one was unassisted. The streak is now 298. Harden will try to keep his scoring magic going against, well, the Magic when the Rockets host Orlando on Sunday in Houston.